The year is 1895. 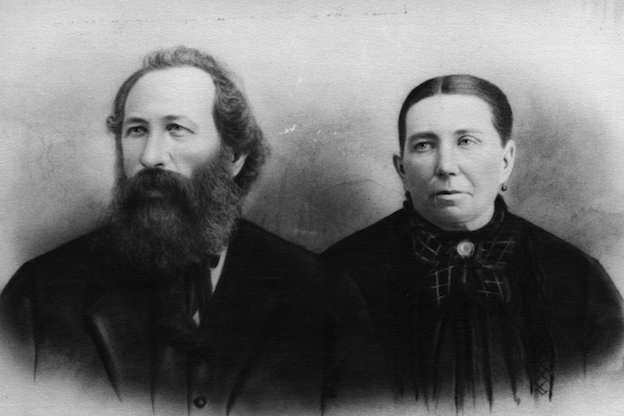 John Lind, soon to be Minnesota’s first non-Republican governor, is the lawyer representing Franziska in divorce proceedings against husband Josef. The divorce is granted and 40 acres of land are to be handed over to Franziska. But alas, under law she is the husband’s chattel and cannot directly receive the land. Instead it is transferred by title to a daughter named Barbara. She in turn will deed the land back over to the mother, Franziska. That’s how marriage law worked 125 years ago. Of course women couldn’t vote in 1895. That was still decades away. Marriage and all its implications, legal and otherwise has changed a lot since 1895. Women are no longer simply part of a man’s property. Women vote. Still not on pay parity but hopefully that will come, the sooner the better. Several generations slip by, offspring spread and the family tree branches. Some 115 years later a scion of this couple dies by IED in the sands of Afghanistan. He’s an Army MP. Had he lived 24 hours more he’d been on a flight back to the states for his leave, now 10 months into his deployment. The day he was due home he was instead buried. Oh, and he was gay, and as his sister said, probably the least interesting thing about him. Like all military personnel he had taken an oath to defend the constitution. He ended up making a payment in full. Had he lived he may have seen the day that he had the option to marry. A right now granted by the Supreme Court under the majority’s interpretation of constitutional rights. Like so many others, he now lies in what Obama so aptly described as the “quiet corners” of our country. It is a slow crawl to recover what in all likelihood should never have been surrendered, by women, by our fellow citizens, all of whom live under the umbrella of that incredible document birthed in the Age of Enlightenment. Is Marriage Equality a legal, moral or religious issue?